Filing for bankruptcy isn’t a permanent kiss of death for your credit. Eventually, if you tend to it and help it mend, it will recover. Unfortunately, you may not be able to wait for “eventually” for a new set of wheels. You have some options, but one thing is almost certain – your bankruptcy will affect your ability to lease a vehicle as well as the lease itself. 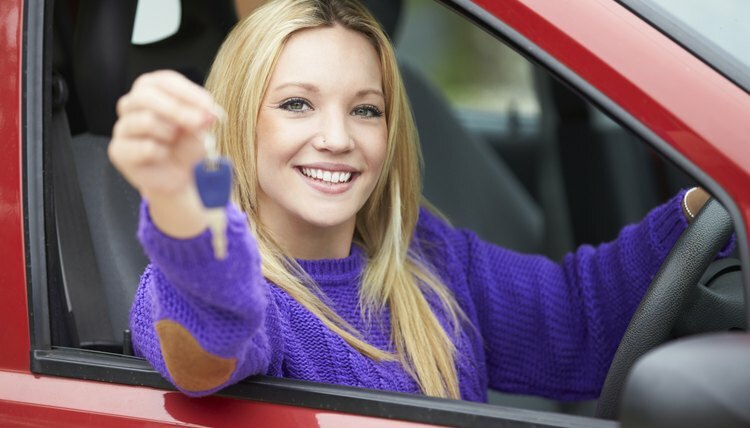 If you’re already leasing a car when you file for bankruptcy, you don’t necessarily have to lose the vehicle. Whether you file for Chapter 7 or Chapter 13, you have the option of assuming your existing lease or rejecting it. Rejecting it means giving the vehicle back and getting out from under the payments – but then you won’t have a vehicle at a time when your borrowing ability is going to be impaired for a while. If you assume the lease, you’ll continue to make your lease payment, sand your contract will go on as before. If you file for Chapter 7, the account won’t be included in your bankruptcy and discharged. If you assume the lease and default on the payments somewhere down the line, and the car gets repossessed, the lessor can ding you for wear and tear, mileage, and missed lease payments, just as if you hadn't filed for bankruptcy. If you file for Chapter 13 – the form of bankruptcy where you give the trustee your disposable income each month and he pays off your debts with that money over three to five years – you can still decide whether to assume or reject the lease. If you were behind on the payments when you filed your bankruptcy, you can use your bankruptcy plan to catch up on those past due payments while maintaining current payments. The longer you wait post-bankruptcy to get a new car, the easier it will be. After 10 years, the bankruptcy will fall off your credit report so it’s no longer a factor (seven years for a Chapter 13). You can repair your score long before that time passes, however. Take out at least one credit card, even if it’s secured or carries a high interest rate because of your past credit woes. Make one purchase a month on it and then pay the balance off by the due date. There’s no exact formula for how long it will take your score to bounce back, but if you handle your credit right going forward, your score will begin to creep upward, eventually qualifying you for an auto lease. The logistics of applying for an auto lease is no different after bankruptcy than it would be if you had never filed for bankruptcy at all – you needn't take any extra steps. But your credit score will be lower, so it might require more determination and patience. You may get turned down a few times before you find a company willing to take a chance on you. Your new lease will no doubt carry a higher interest rate and there may be a few other extra costs as well. Your credit score is just as pivotal to leasing a car as it is to buying a car. It’s not necessarily easier to qualify for a lease than it is to qualify for a loan. But if you buy and purchase an older model, the vehicle won’t cost as much so the amount you’re borrowing should be less. This can help you qualify even with a bankruptcy on your credit report. Another option is to look into a lease assumption – taking over an existing lease from someone who doesn’t want the car anymore or who can no longer afford the payments. Several online companies match people who want to get out of car leases with people who want to get into them, and sometimes it’s easier for the assuming party to qualify for this sort of deal than for a brand new lease. Mass Legal Services: Should You Buy or Lease Your Car? Bird, Beverly. "How to Lease a Car After Bankruptcy." , https://legalbeagle.com/5697260-lease-car-after-bankruptcy.html. 01 March 2019.